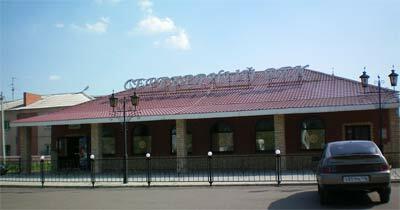 Cafe “Silver Age” is located on square of the memorial complex of Marina Tsvetaeva, in the old part of the city, on Kazan str. In the immediate proximity to the café there is the memorial stele with bust of M.N. Tsvetaeva, Saviour Cathedral, Tsvetaeva Memorial House, Library of the Silver Age and other objects of the memorial complex. The cafe has varied cuisine and specialities of the house. Music for all tastes. Two plasma television screens are placed in the hall.